AN IMMEDIATE EX-gratia payment of €2,000 should be paid to each woman involved in the CervicalCheck scandal and to the next of kin of the deceased, according to the interim findings of the Scally Inquiry. At least 18 women whose smear tests were highlighted during an audit have since died. 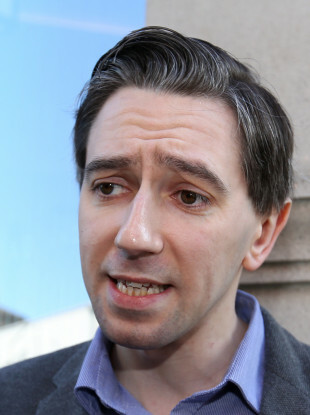 Health Minister Simon Harris launched an inquiry into the controversy last month, giving the investigation a June deadline to carry out its work. Today’s interim report, carried out by Dr Gabriel Scally, has recommended that women should not encounter any financial obstacles while participating and making their voices heard in relation to both the Scoping Inquiry and any resulting Commission of Inquiry. Speaking on RTÉ’s Drivetime with Mary Wilson this evening, Scally said that the women involved have been fantastic, but that it had been difficult to obtain information, particularly in the format he wanted it in so that it’s easy to search through. “As you can see I am frustrated by it,” he said. The problem is the volume of information that we’re going to have to go through and its availability to us, because it is not yet coming either in quantity I would want it or in the way I would want it. Scally said that he will be getting in touch with Health Minister Simon Harris in the next day to inform him if he doesn’t get the information he wants. “I will not be letting walls get in my way, whether they are stone or otherwise,” he said. Vicky Phelan also spoke to Drivetime this evening. She said that she had faith in Scally’s work and wasn’t surprised by the obstacles that he faced. He’s trying to do this in a way that there aren’t going to be any injunctions taken or any legal objections, so that he does it all right, so that there can’t be any loopholes for this not to happen. I fully believe that he will get to the end of the inquiry that will lead to a commission of investigation. She said that it was “important for me that this story is kept alive” and added that she was happy with the recommendation of ex-gratia payments. Last month, Fianna Fáil’s health spokesperson Stephen Donnelly highlighted that women caught up in the scandal were borrowing money. “Women are borrowing money to get to healthcare appointments on the other side of the country,” Donnelly said, adding that there is “no central point of contact” and “no counselling” for the women. In addition, the findings contained in two reports provided to the Minister of Health Simon Harris today call for a process to be commenced to hold structured conversations with all of the women who wish to have their experiences documented. The relevant surviving family members of any affected woman who has died should also be consulted with, if they so wish. Dr Scally also calls for the provision of a more comprehensive guide to the CervicalCheck screening programme online. He said information statements should be provided to women about the limitations of the tests in all relevant CervicalCheck documentation and on the website. It should be more explicit about the possible reasons why screening might miss abnormalities that are present as these can result in the development of cervical cancer, he added. The interim report also states that information accompanying the consent form should guarantee that patients will have full and open access to their cervical screening record on request. That information should guarantee that should there be a problem or error of any significance with the screening or reporting process, open disclosure of all the details will take place in a timely, considerate and accurate manner. Speaking after Cabinet today, Harris said he welcomed Dr Scally’s first reports and said he would be accepting the recommendations in full. “Following the approval of government, I am making arrangements for the ex-gratia payment as recommended by Dr Scally. This payment relates to addressing any financial obstacles women might encounter in having their voices heard as part of his work. “It would not be a bar to further payment in due course. I have also requested Dr Scally to identify arrangements that he could put in place as part of his inquiry to undertake the process of structured conversations,” said the minister. It should be noted that Dr Scally found that the provision of information to women in Ireland who take part in our screening service is comparable with that available elsewhere and in some respects is better. “He also found that the process of completing a consent form at the time of screening is a major strength of the Irish programme. However, he does make a number of important recommendations to improve the information provided to women, including strengthening the statements on the limitations of screening. I will immediately ask the HSE to implement the four recommendations related to this. Dr Scally has assured the minister that he will continue to provide reports as they are completed so that answers can be provided as soon as they are established. “When we set up this Inquiry I was very clear about the need to examine the facts and get answers quickly for Irish women, while also identifying issues that may merit a further full statutory investigation,” said the minister. Email “CervicalCheck interim report says €2k payment should be given to women affected immediately”. Feedback on “CervicalCheck interim report says €2k payment should be given to women affected immediately”.